Okay, anything that makes cooking easier has me written all over it. 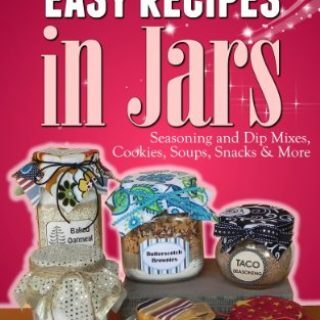 Amazon has the eBook, 100 More Easy Recipes in Jars by Bonnie Scott for Free on Kindle for a limited time. This book contains recipes for almost any occasion, and they are so easy to make. Click here to get your free copy. Just think of all the cute gifts you can make for your friends with these fun jar recipes. Gift giving this Christmas just got a little easier!